Breeding Male. On the campus of the University of Eldoret, Kenya. July 2014. 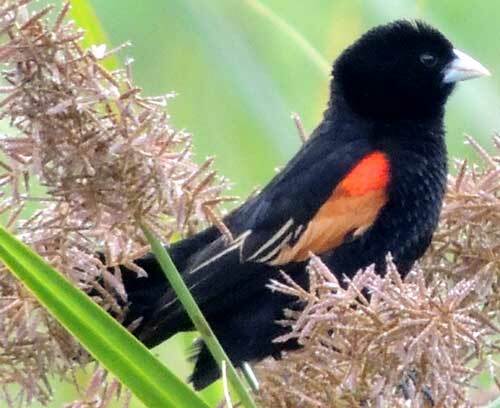 The strong conical bill is most suitable for cracking seeds and this western Kenya bird prefers marshy habitats with reeds and sedges. 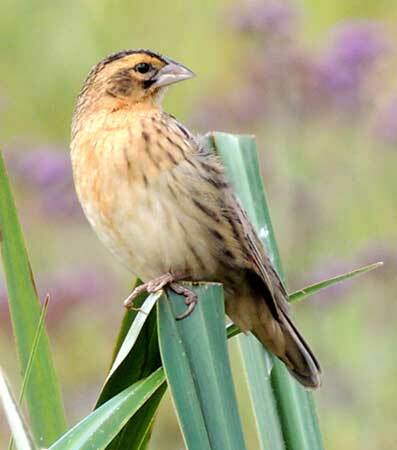 The females (below) and non-breeding males are drab brown.